How big is Drummond Island? Drummond Island is the second largest freshwater island in the United States and covers 129 sq. miles of land and 120 sq. miles of water for a total of 249 sq. miles. 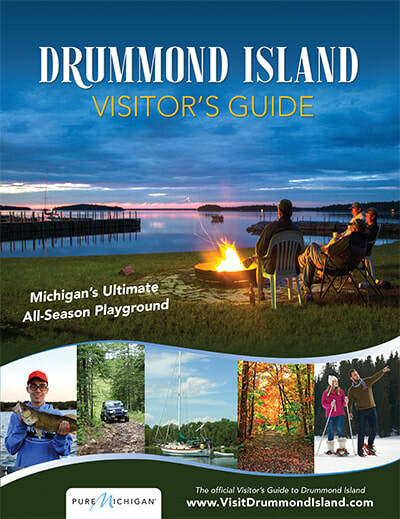 Drummond Island boasts 150 miles of rugged, scenic shoreline and 36 inland lakes. How many people live on Drummond Island? According 2010 census data, Drummond Island has a population of 1,050. What's the main source of employment on the island? Major employers include Drummond Island Resort & Convention Center, Caramuse Dolomite Quarry, and Drummond Island Yacht Haven. 7th - 12th grade students are bused to DeTour Area School on the mainland. How do you get to the island in the winter time? The Drummond Island Ferry, part of the Eastern Upper Peninsula Transportation Authority, offers hourly trips to and from the mainland year round. To learn more about the history of the Drummond Island Ferry, click here. Please note, bowling is no longer available on Drummond Island. Take Off Pounds Sensibly (TOPS). The township and island are named after Gordon Drummond, who was the first Canadian-born officer to command the military and the civil government of British Canada. 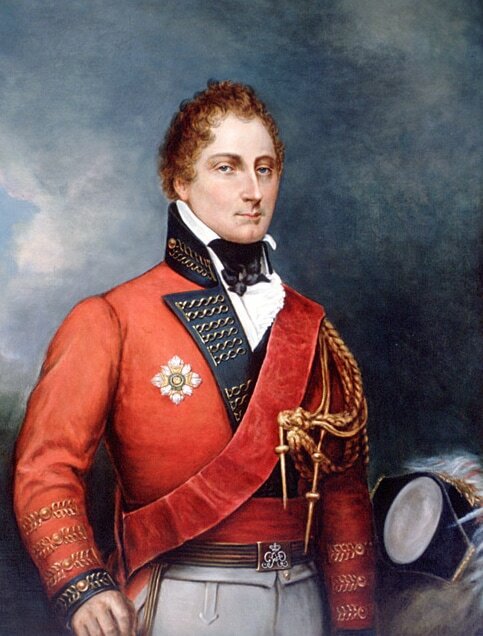 As Lieutenant Governor of Upper Canada, Drummond distinguished himself on the Niagara front in the War of 1812 and later became Governor-General and Administrator of Canada. The Ojibwe name for the island is Potagannissing. The history of Drummond Island dates back centuries, but more recent history of the past 200 years relates to the British occupation of the island during and after the War of 1812. The island was the last British outpost on American soil following the Treaty of Ghent (1814). It was finally returned to American hands in 1828. Drummond Island is the only island in the Manitoulin island chain which is part of the United States. British and American negotiators to the 1814 Treaty of Ghent ended the war by offering no territorial concessions to either side, but returned to those boundaries set by the Treaty of Paris of 1783. But, in order to resolve territorial claims that had precipitated the war, negotiators at Ghent established a process whereby commissioners would survey the boundary to determine the borders envisioned in the original treaty. Beginning in August 1820, two teams of surveyors, including British explorer and cartographer David Thompson, mapped the area of St. Joseph Island, Drummond Island, and Lesser and Greater Manitou Islands (today Cockburn and Manitoulin islands). Mapping this corner of Lake Huron was a challenge given that little was known about the shores and depths of the channels between the islands. The agent for the United States survey team, Major Joseph Delafield, complained, "No map that I have seen has any truth as it respects the position of Drummond's or the other islands about St. Marys. We entered this bay without a pilot, but are told we cannot proceed up river without one." Based on the surveys taken in the summers of 1820 and 1821, and guided by the Commission's two principles that the boundary would not divide islands and that the number of islands would be apportioned equally between the two countries, in November and December 1821, commissioners agreed to grant St. Joseph Island and Cockburn Island to Canada and Drummond Island, which lies between them, to the United States. Importantly, it also placed the border along the western shore of St. Joseph between it and St. Tammany (today Neebish) Island. But, the commissioners were unable to agree on where the border should go upon exiting the channel between St. Joseph and St. Tammany islands. This question was not settled until the 1842 Webster–Ashburton Treaty finally established the boundary "along the ship channel between Saint Joseph and St. Tammany Islands, to the division of the channel at or near the head of St. Joseph's Island [sic]; thence, turning eastwardly and northwardly, around the lower end of SE George's or Sugar Island" so as to assign Sugar Island to the United States. Carroll, Francis M. (Fall 2004). "The Search for the Canadian-American boundary along the Michigan frontier, 1819-1827: The Boundary Commissions under Articles Six and Seven of the Treaty of Ghent". Michigan Historical Review. 30 (2): 77–104. "Reports of International Arbitral Awards: Declaration and decision of the Commissioners of Great Britain and the United States, under Article VI of the Treaty of Ghent of 1814, respecting Boundaries, relating to lakes Ontario, Erie and Huron and River St. Lawrence. 18 June 1822". VOLUME XXVIII pp.11-16. United Nations. Retrieved 20 February 2013. "British-American Diplomacy: The Webster-Ashburton Treaty". Yale Law School: Avalon Project. Retrieved 27 February 2013.